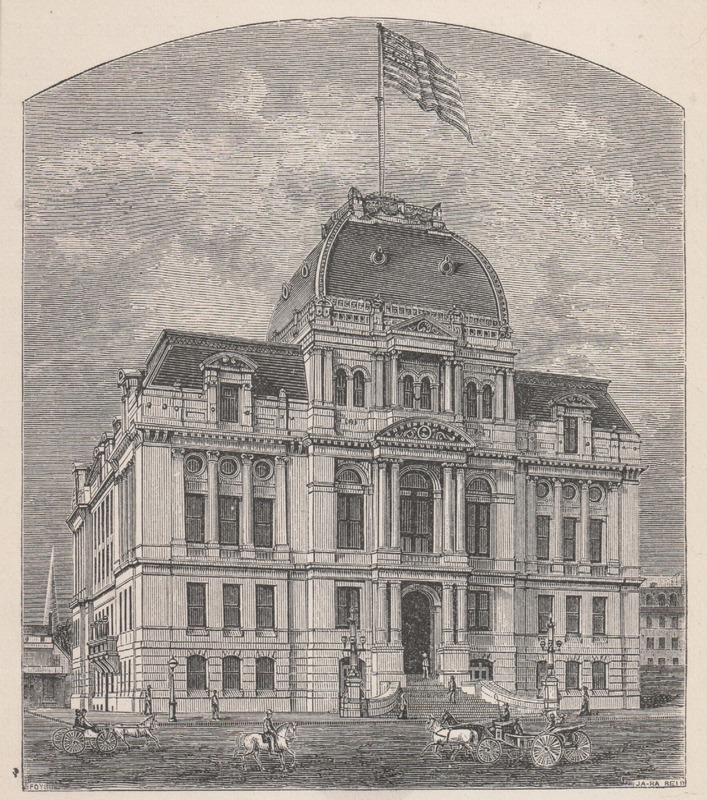 Recently, a blog reader asked me how she could take the next step to break down a brick wall by renting some microfilm records through her local Family History Center. It occurs to me that a lot of people might have this question. 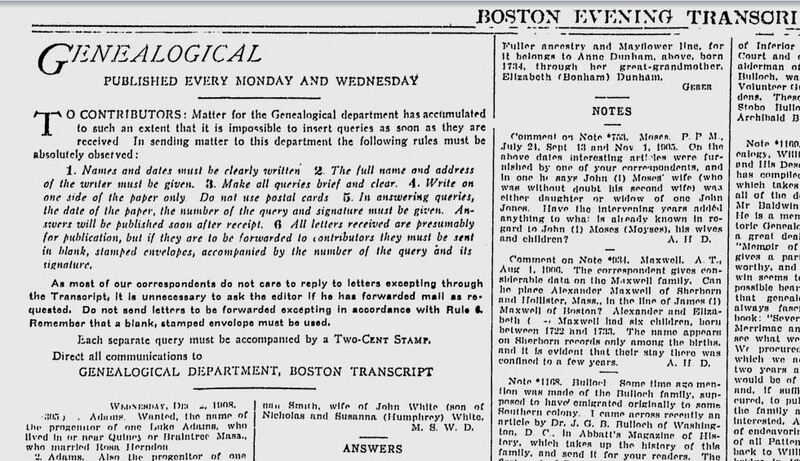 In fact, I should take my own advice and rent more microfilm. You can find the locations of the Family History Centers here. Basically, it’s ALWAYS right to look at primary source and original records, to not rely on indices, and to not rely exclusively on someone else’s interpretation of original records, such as in a compiled genealogy. But I suppose many people only turn to original records when more easily accessible information has failed them. If you live close to the locations of your ancestors, you would probably prefer to visit the original record books in person. 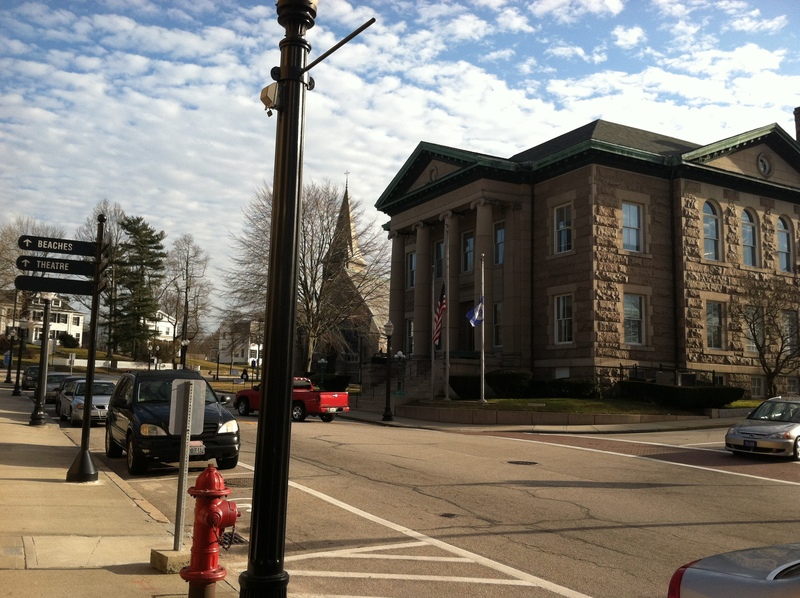 In southern New England, that can be cumbersome, and usually you will be on your own at a town hall or other local repository to navigate the records or, in the opposite extreme, be required to write out each request individually and have a clerk do the searching for you, returning with a photocopy and no opportunity for you to look around at nearby records. And that assumes that you have researched the repositories enough to know where your particular record should be. And that you are able to conduct these visits during Monday through Friday business hours. If you live far away from your records, or if you get bogged down trying to visit the repositories you need, the local Family History Center can be a simpler solution. Through the Family History Library, located in Utah, there are over a million rolls of microfilm available of records from many parts of the world. At my location, each roll rental would be $7.50. There are many types of records recorded on microfilm including property, probate, vital, local government, census, church, cemetery, court, tax, and military, but of course not all materials are available for all locations. 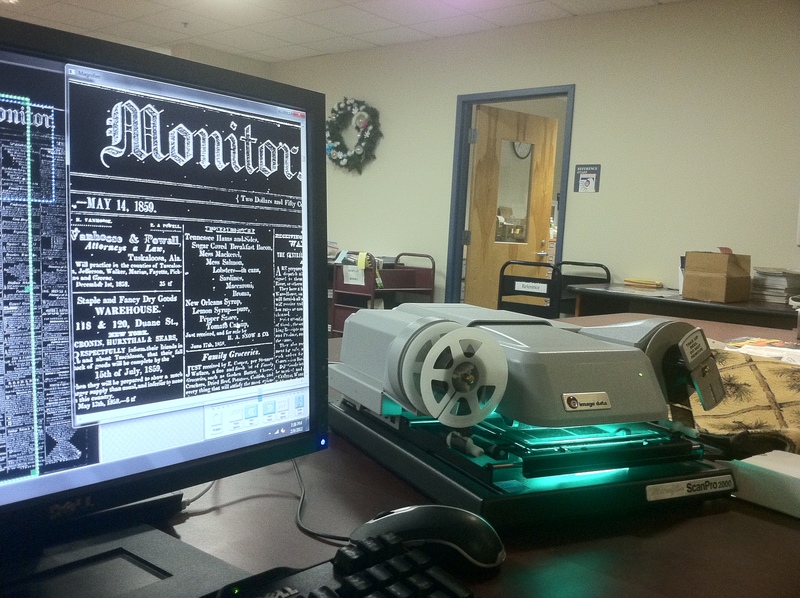 How do you find what microfilm record you need? You will need to seriously consider what type of record set is likely to yield further information on your genealogical search. If you are following local society meetings, research journals, webinars, blogs, and various helpful books, you will have studied many examples of how others solved their problems. Think about what type of records might give you new information not available elsewhere. Decide on a strategy. Of course, as my reader mentioned, one could always go to the Family History Center and get some assistance in deciding what microfilm to order. You can find the locations of the Family History Centers here. Plus, each center keeps a few materials on hand already which could be used for free. The volunteer staff at my local Family History Center are very nice. The concern I have is that the staff person might be busy on the day you visit, or, it may not be convenient for you to visit twice, therefore, you might want to ORDER the films using the online system, wait until you hear that they have arrived at the Family History Center you designated, and then go and read them. To search and order on your own, you should spend some time perusing the online catalog. Go to FamilySearch.org and log in (create an account if you don’t have one). You want the CATALOG screen. Notice that the first option for searching within the catalog is Place Name. Try typing the town, county or state into that box. See what comes up. Ultimately, you may want to try all those place options. Try searches for family names as well, or keywords. Remember, you are looking for record SETS here, not individual records. You can see the topics covered. Clicking on a topic brings up the record sets available. 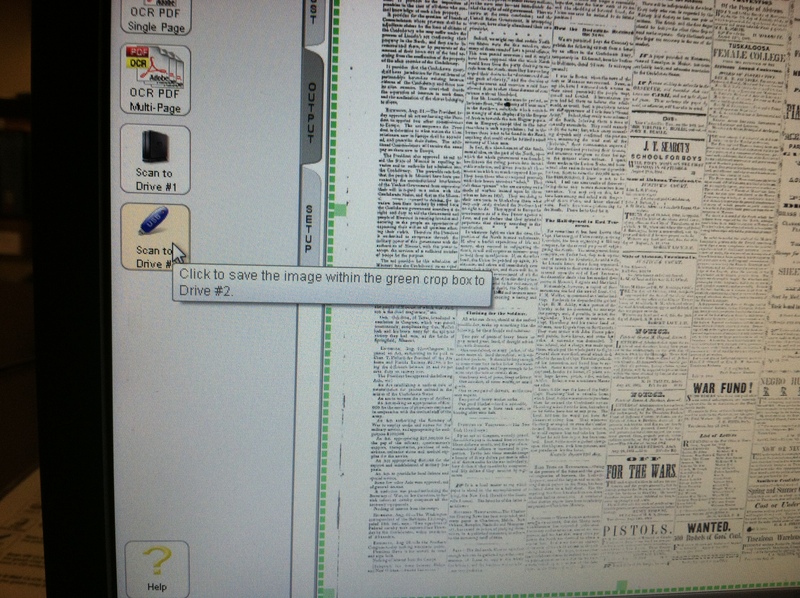 Clicking on a record set shows the microfilm or microfiche numbers. Each record set may be broken into more than one microfilm roll. 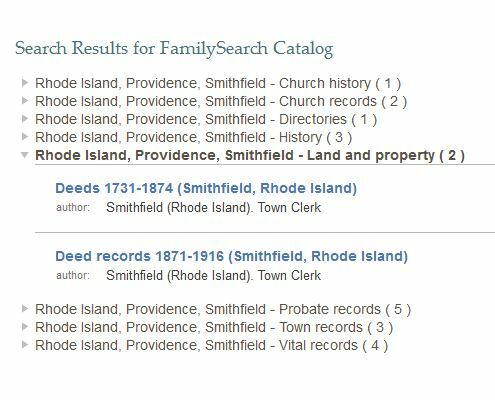 Clicking on Deed records 1871-1916 (Smithfield, Rhode Island) brings up three microfilm rolls. IF the content had been available in other media, such as a book or on the web, that would have been noted on this screen. But no harm, at this point, in doing a little search yourself. If the content is available as a book, there is no way to rent that, but try looking for that book online or in a nearby library. Note that the last film in the list says “Item 1.” That means that particular roll of microfilm contains additional content. Look for this item first on the roll. How do you order microfilm? Clicking on the microfilm NUMBER, from the screen above, brings you to an order screen. 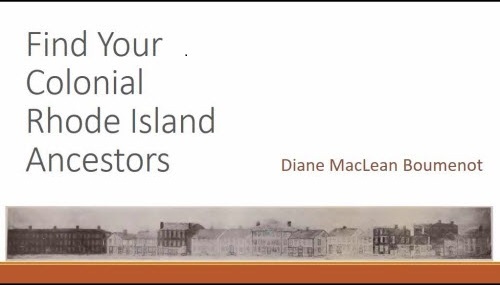 Be sure, at this point, that you have logged in, and that you have selected a home location for the Family History Center where you plan to read your microfilm. Once you have loaded one or more films into your shopping cart, you can check out and pay. You will be notified when the film arrives, and at that point you will need to go to the Family History Center you selected, during open hours, to view it. Be sure you know the date on which your film will be returned to Utah, and use it before that. 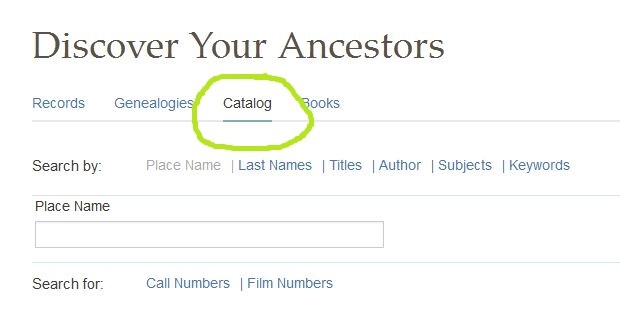 Before ordering, always be sure you check out the availability of the material online, either through the FamilySearch page for that record set, or by (for instance) googling the name of a book or record set. Check out the hours of your local center or library. If it’s in a church building, remember that you are visiting someone’s church and dress and conduct yourself appropriately. The entry to the Family History Center is usually marked and visible from the parking lot. I would suggest, once you get used to all this, that you further challenge yourself to learn how to copy the pages you read from microfilm onto your own flash drive so that you can take that home, and enlarge and study the pages further, and store them on your own computer. 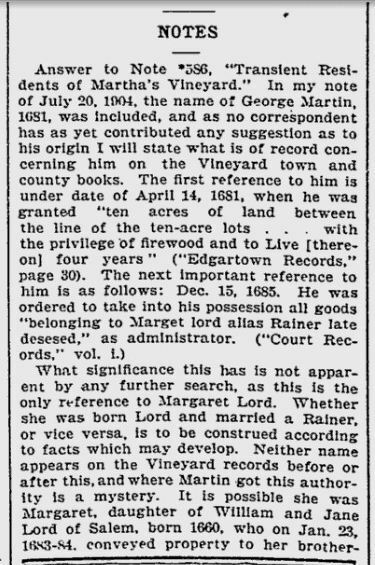 I realized recently that people needed easier access to the Rhode Island treasure, The Narragansett Historical Register. I am presenting all volumes here, and a single set of Table of Contents and Index pages, for searching. 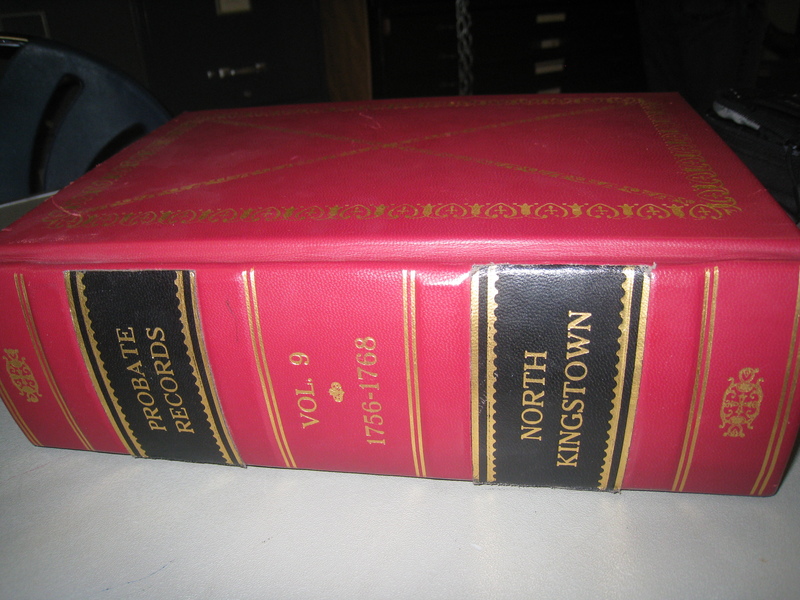 The Narragansett Historical Register was published under the leadership of its editor, James Newell Arnold, from 1882 to 1891. Of the nine volumes, I own eight of the more recent reprints from Heritage Books, Inc of Maryland, 1994-1996. If you’re not lucky enough to own these colorful reprints, the original volumes are no longer under copyright and are available online. I have linked to copies of those, below. 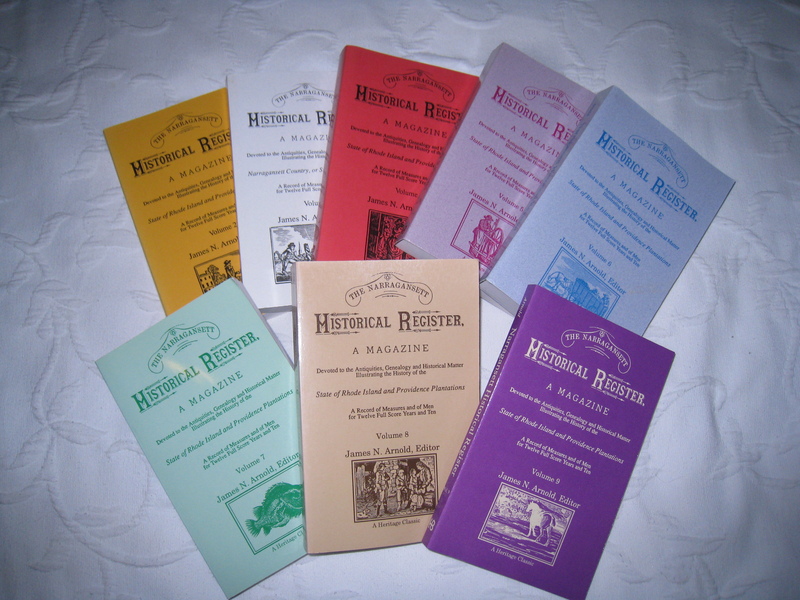 Originally published as a periodical, the set contains serialized transcriptions of local vital records from around Rhode Island, articles about local history, notes about local historians and authors, transcriptions of sermons and diaries, church history, a few illustrations and portraits, genealogical inquiries, short snippets, and quite a bit of editorial comment by Rhode Island’s favorite genealogist, James N. Arnold. And yes, the occasional poem. Mr. Arnold did a wonderful job of collecting short historical and genealogical articles from colleagues around the state. One problem with this journal is that each annual volume has its own table of contents and index, making it a bit of a chore to look things up. So I have built an additional single pdf document containing ALL table of content and index pages. From that, as a trial, I was able to find most occurrences of the word “Warwick” by opening the “Table of Contents …” pdf, below, and using “Find” under the Edit menu. After finding a “Warwick” entry that interested me, I would have to open the pdf of the appropriate volume (look for the red typed page that precedes each Table of Contents/Index section to know which volume is being referred to). A true (combined) index for all volumes would be much better, of course. Here are the volumes. Clicking on one will immediately begin to download the pdf. The quality of the reproductions varies. 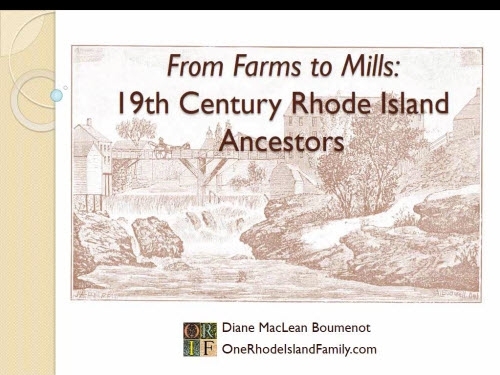 Using the new Massachusetts Town Vital Collections, 1620-1988 on Ancestry.com has, in one evening, turned up a lot of good information for me. Admittedly, coverage is not complete, but the thing I like is that these are the original town records, not the transcribed records held more centrally by the state. I have noticed handwritten notes near some records (like permission for a minor to marry) and some extra data that did not make the transcriptions. From the 4059-page Newton records, I found my uncle Blanchard Baldwin’s corrected birth record. 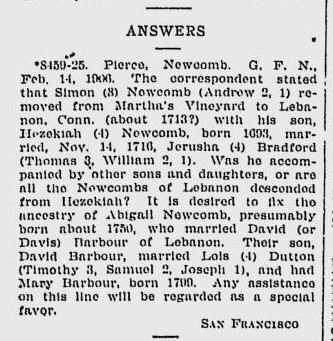 His first name, the slightly edited names of his parents, and a note had been added in a darker pen, saying that the updates were done on April 9, 1914. That may have been when Blanchard joined the Navy. I’m sure the original birth record was incomplete because his mother died the next day. It must have been a chaotic time. Catherine's portion of the marriage record to her third husband, Hiram Ross. Note that her maiden name is listed as Youngs and her parents are listed as "unknown" - I wonder why? 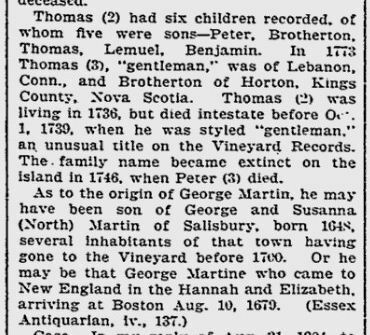 A death record for Aunt Hattie, who died in Wayland, Mass in 1933. This record had eluded me before; I didn’t even have a death date. 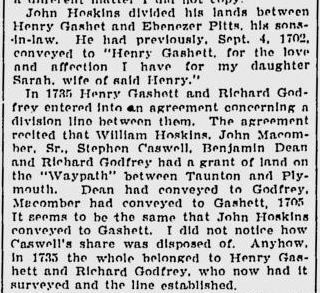 Her mother is listed as Catherine Young … were my grandfather, and HIS father, the only people who thought her maiden name was Spaulding? 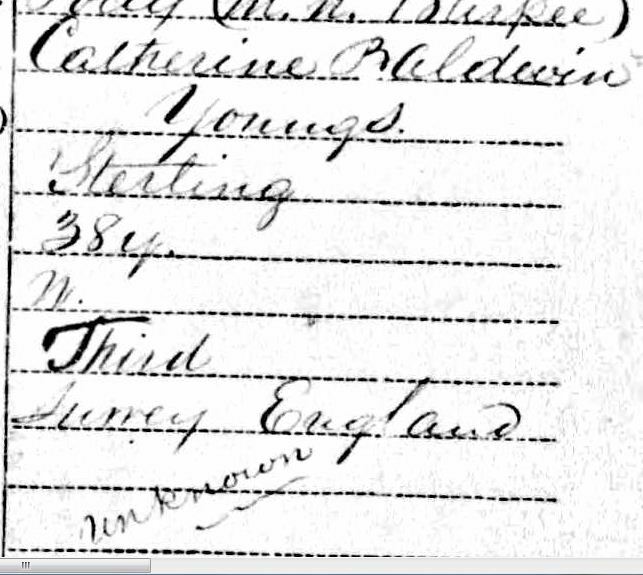 The second half of Hattie’s death record contained something I’ve been searching for since pretty much the first week I started genealogy – the origin of my mother’s family, the Baldwins. 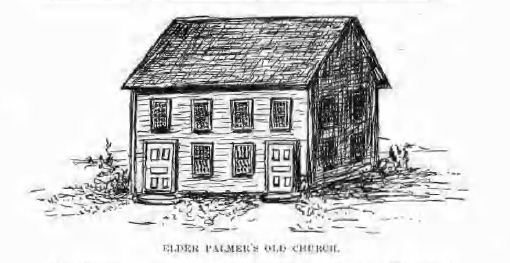 Hattie’s death record shows that her father, Edward Baldwin, was born in Townsend, Massachusetts. If it’s true, this is the biggest discovery made I’ve made in a long time. As you can imagine, I moved on quickly to the Townsend records. First I checked the map – Townsend is at the northern border of Massachusetts, north of Worcester. This is roughly in the section of the state where I thought he might have been born. Then I went through the Townsend birth records by index and page-by-page. Then I checked several other places, and I don’t see a birth record. However, I see Baldwins, I see at least one Miles family, and, more intriguingly, I see LOTS of Spauldings. And it’s possible that Edward was located at some time in Townsend, or was born close by. Despite a lack of a definite solution at this point I am thrilled, and have lots more to explore. Tonight’s breakthrough was made possible by the work of Jay and Delene Holbrook, who compiled the Massachusetts records, over several decades, that now appear on Ancestry. Thank you! 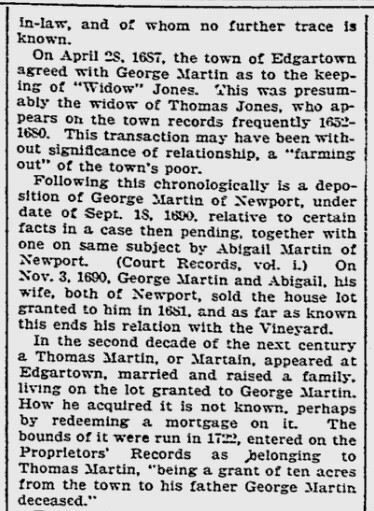 I suspect people could pursue genealogy for decades without buying microfilm. But I got a little desperate in my search for Tuscaloosa, Alabama information from the 1855-1875 era. Through a Facebook lead from J. Paul Hawthorne, I discovered that I could order old Tuscaloosa, Alabama newspapers on microfilm from the Alabama State Archives. 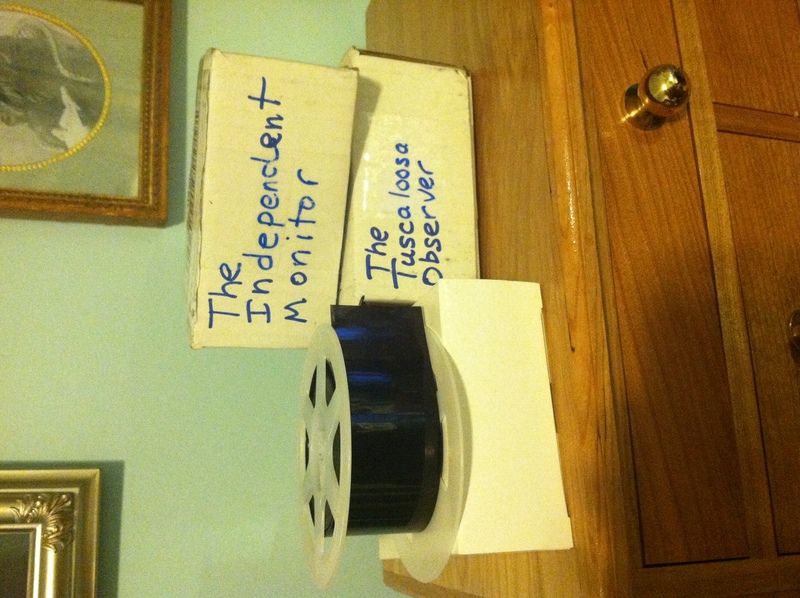 I ordered the Tuscaloosa Observer, 1855-1865 (quite a few issues, although not a complete run of course) and the Independent Monitor, 1861-1871 (only a few issues). I guess when I ordered it I had some idea that a person might be able to read this at home, somehow. But eBay and some used equipment dealers had no equipment that was priced for home use; the cheapest gadget was $375. So, no problem, off I went to the library. I saved each page as one small image, but once back on my own computer, they were easy to read when enlarged on the screen. Thanks to my sister for that suggestion. I took about 100 images. 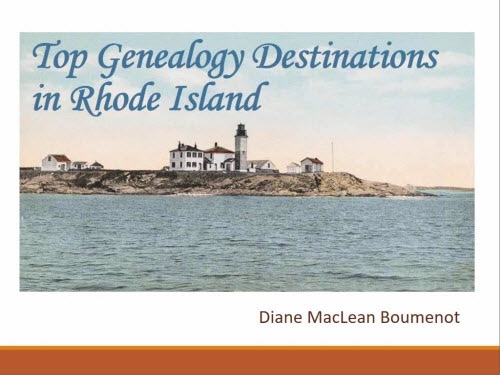 The problem I am researching is the 20 years that my Lampheres – an old Rhode Island/Connecticut family – spent in Tuscaloosa, approximately 1855-1875. My ggg-grandfather Russell Lamphere owned a business (see my post A Story Just Like Russell Lamphere’s) and my gg-grandmother Emma was born there (see my post The Girl From Alabama). Family lore says that Russell lost the business during the war and they returned to R.I. bitter and broke. We don’t know what the business was, or what really happened. Almost accidentally, while saving images, I found what I was looking for. 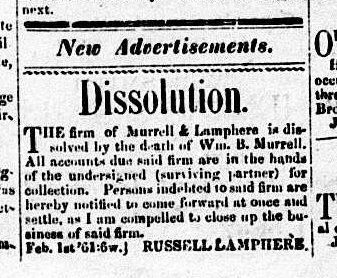 On February 1, 1861 in the Independent Monitor, Russell announced the close of his business. I am complelled to close up the business of said firm. Feb 1st '61:6w. RUSSELL LAMPHERE. to wait on his old customers and the public. Of every variety and best quality constantly on hand. So this makes it clear what the business was. I now believe that his work, at other phases of his life, with cotton mill machinery probably had to do with the manufacture of replacement gears, parts, etc. I do not know if there was any family connection to William B. Murrell, although he was born in North Carolina so he is not likely to be a direct relation. An in-law, perhaps, or just a business partner? Of course, going more carefully through the papers will probably produce additional information. I have some other irons in the fire concerning Russell Lamphere, including tracing a War Claims bill. Meanwhile, there is plenty of evidence here to investigate.